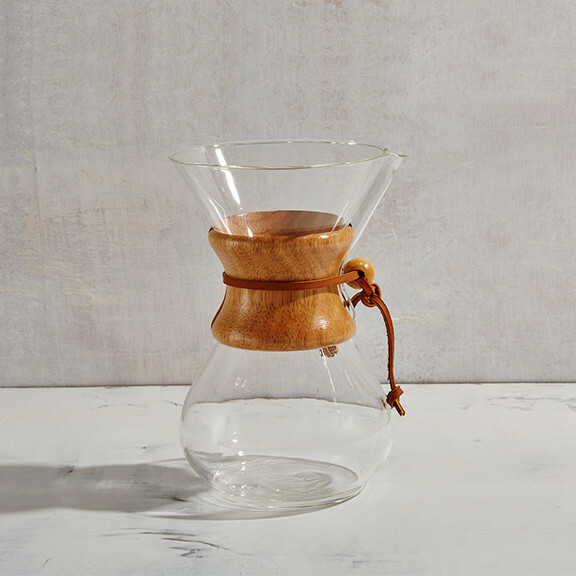 The Chemex coffeemaker is an elegant, one-piece, hourglass shaped vessel made of high quality, heat resistant glass. NOTE: Does not include filters. Few products in this century can match the flawless blending of design and function of the Chemex®. Its visual elegance has earned it a place in the permanent collection of New York's Corning Museum of Glass. The Chemex® coffeemaker was also selected by the Illinois Institute of Technology as one of the 100 best designed products of modern times. The Chemex® coffeemaker, together with Chemex-Bonded® Coffee Filter, makes perfect coffee. Clear, pure, flavorful and without bitterness or sediment every time. The coffee only comes in contact with the scientifically designed filter and non-porous glass. 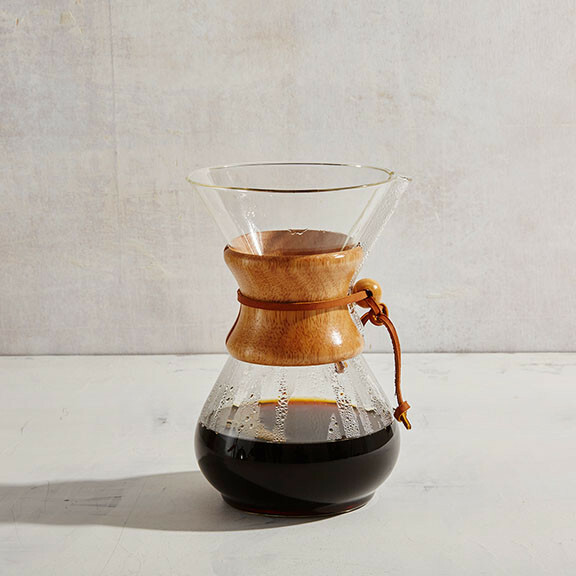 With the Chemex® method, you can make coffee as strong as you like without bitterness. Perfect for iced coffee and coffee flavoring for gourmet recipes. Because of its purity, Chemex® brewed coffee can be covered and stored in the refrigerator for reheating...without losing its flavor!